In Mistletoe and Mr Right, Jessica (not Jessie) takes a flying leap and follows her boyfriend home for the holidays for Christmas break, sure that Ireland will provide the perfect backdrop to the beginning of their happily ever after. But it turns out his family - and his gorgeous ex-girlfriend - don't feel the same way, and the only person making the trip worthwhile is the local farmhand, who has a way of showing up when Jessica needs him most . and least. The holiday high jinks continue in Sleigh Bells and Second Chances, when Jessica's best friend makes her own way across the pond! Christina Lake does not want to be away at Christmas, but it's her duty to babysit one of London's hottest bands at their last-minute concert on Christmas Eve... even though she had a fling with Harry, the band's lead singer, that never officially ended. Now forced to reconnect, Christina is starting to think that maybe London is exactly where she's supposed to be to get the perfect New Year's kiss - at least until she finds out that he's been lying the whole time. Can Harry find a way to prove himself before the clock strikes twelve? Or will the New Year ring in a new romance? Lyla Payne wraps up two perfect holiday novellas, ties them with a ribbon of romance, and tops them with a light dusting of snow. Perfect to curl up with under the tree. Just add hot cocoa! The other day I received this Christmas anthology. I wasn't expecting to receive a copy, so it turned out to be a nice surprise. Thanks Bloomsbury! When Jessica decides to surprise her college boyfriend by visiting him in Ireland while he spends the holidays with his family, she didn't expect the reaction she gets. He's more shocked than happy, his family doesn't even know about her, and when they hear her Scottish surname, they're not happy. But they're friendly and it's winter, so she stays at the B&B even though Brennan's lovely ex is also there and his family loves her. Of course, there's also someone else there. Grady is annoying, but nice looking and intriguing. Not to mention that she finds it easier to talk to him than to her own boyfriend. As Christmas nears, Jessica becomes more confused... but in the end, the decision becomes very clear. I was surprised by how much I enjoyed this story! I read it in one day and really became invested in Jessica's story. I loved how she's so organised and determined to stick to her ten-year plan no matter what because she doesn't want to leave anything to chance, but eventually finds out that life sometimes has other (better) plans. This was the kind of romance story--girl already has a boyfriend but slowly falls for another guy--that is really hard to pull off. But the author does a great job at telling Jessica's Christmas Love Story in Ireland in a way that totally pulls the reader into the events and makes you experience everything through her eyes. 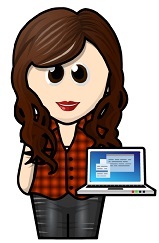 Christina is Jessica's roommate and she's got herself an internship that's going to help her in her chosen career of becoming a PR in the music industry. And it's in London. She hasn't been back to England for a long time. Not since she was eighteen and spent an amazing summer at her father's house in Cornwall, and she met Cary--a gorgeous musician. She fell in love for the first time, but he broke her heart. And now she's on her way to doing PR for his band! Cary is now the lead singer in a well-known band and as soon as Christina crosses paths with him, it's obvious that he's keen to reconnect. Except, she's not. She can't get over him walking away without so much as a goodbye. Not to mention that family tragedy struck around the same time and her father completely shut her out of his life. But he also wants to see her. The two men who hurt her the most now want her back, and she's not sure how to deal with it while keeping her job. I loved the first story, but I think I enjoyed this one even more! I love stories where old flames meet again years later and realise that there are still a lot of unresolved issues, and this one fit that bill perfectly. Not to mention that the music industry twist and the family drama gave a great and interesting flair to an already awesome story. 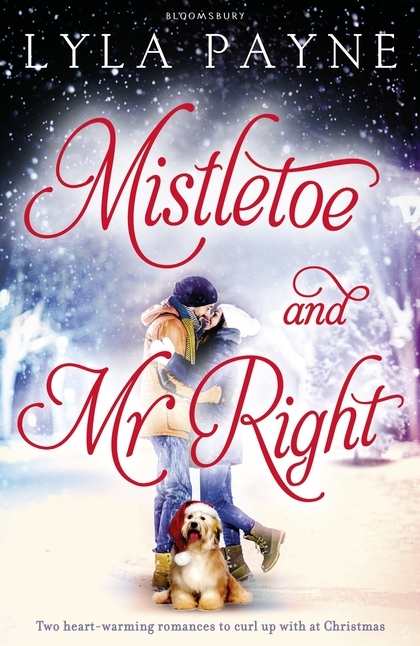 Mistletoe and Mr Right turned out to be a fantastic and very entertaining festive novella collection that packs quite the punch. Both stories are filled with strong heroines trying to find their way in the world, interesting characters, honest situations, messy relationships, family drama, exciting careers, passionate couples, hot leading guys, and just the right dose of romance to warm up your Christmas season.